The benthic zone refers to the ecological zone located at the bottom of any marine or freshwater body, such as a river, ocean, lake or pond. The benthic zone includes the sediment surface. Benthic zones are found all across the world, wherever there is an appreciable water body. Now, the benthic zone begins at the shore and extends to the bottom of the ocean. This implies that the benthic zone could be as shallow as a few centimeters, but may reach a depth of a few thousand meters. On account of the depths it can reach, the benthic zone is usually characterized by low temperature, high pressure and minimal sunlight. Well, such conditions aren’t optimal for the sustenance of a vast amount of flora and fauna, but sediment layers in the benthic zone help in the recycling of nutrients, which in turn makes it possible for the sustenance of rich aquatic life in the upper water column. The benthic zone might not be brimming with vivid aquatic creatures, but many crustaceans, snails, sponges, sea stars etc. are found here. Let’s now look into three key characteristics of the benthic zone. For benthic zones located close to the shore or with notably shallow depth, the temperature is warmer, but for those located hundreds of meters deep, temperatures can fall to 2°C to 3°C (near the abyssal zone). Aquatic life that can survive in such extreme cold temperatures is limited and those found there often move at a slow pace to conserve energy. Just like temperature, pressure also varies across the benthic zone. From being low for shallow benthic zones to very high for those located a few thousand meters deep. The Mariana Trench, which happens to be the deepest trench on Earth (around 10,000 meters below sea level), is the extreme example for a very high-pressure benthic zone. Here, the pressure is roughly 1000 times the normal pressure (sea level). High-pressure benthic zones lead to a very homogenous environment, which produces organisms with distinctive traits. One peculiar example is the enlarged sizing of certain marine creatures. Also, at great oceanic depth, the quantity of dissolved oxygen in the water is higher, which makes organisms grow larger than their counterparts in more temperate zones. The intensity of light decreases with depth. It becomes limited at depths below 250 meters; between 250 and 1000 meters, the intensity of light begins to dissipate very quickly. This zone is called the dysphotic zone and performing photosynthesis here is very difficult. Beyond a depth of 1000 meters, light availability is almost zero, with photosynthesis no longer being feasible. Because the benthic zone can occur in varying environments, chemical and physical characteristics vary greatly and are often dependent on context. Nutrient availability in the deep sea is also scarce, so organisms need to adapt themselves accordingly to survive here. 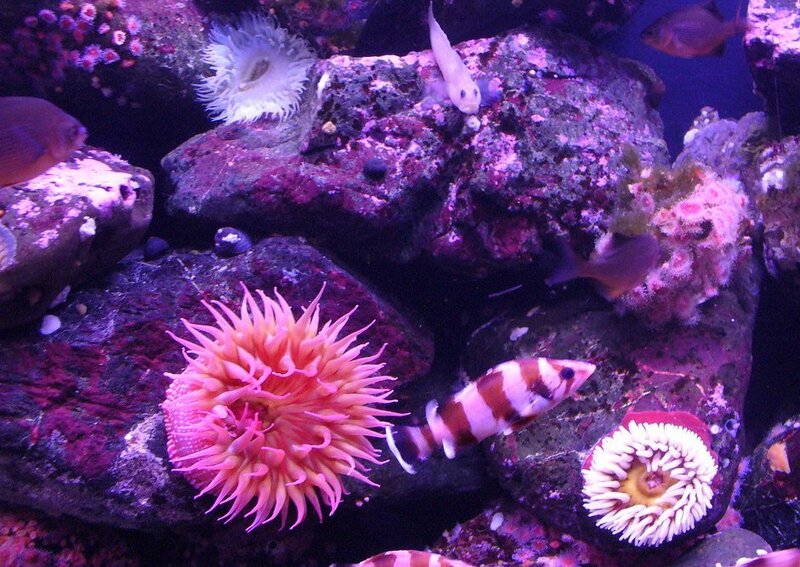 Organisms living in the benthic zone are called benthos. Benthos have specially adapted themselves to live on the bottom substrate in deep-water bodies with elevated pressure and cold temperatures. 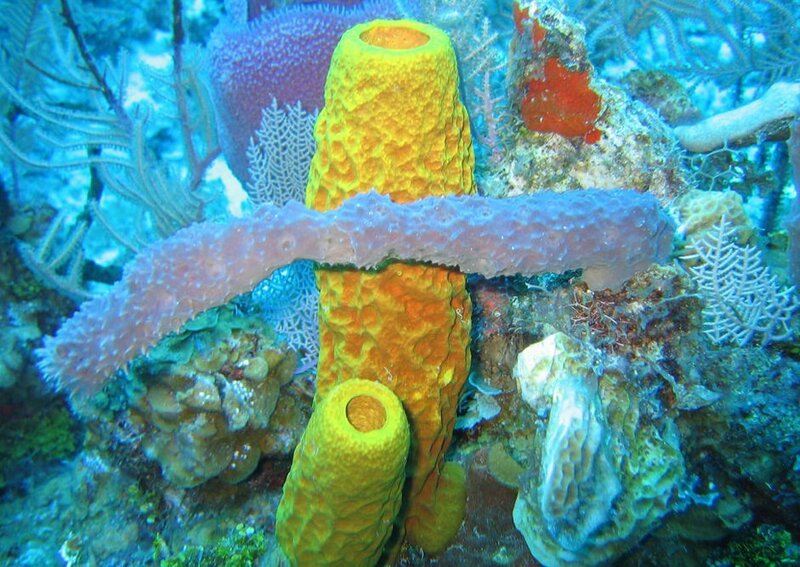 In fact, organisms that inhabit the deep-water pressure areas cannot survive in the upper parts of the water column. Most of these benthos are detritivores. Due to the scarcity of light, the source of energy for benthos is often in dead organic matter from the organisms higher up in the water column that settle on the benthic belt after death. This dead organic matter provides nutrition to benthos and completes the aquatic food chain and nutrient recycling. Based on whether they make their home on the ocean floor or beneath the ocean floor, benthos can be categorized into two types. Creatures living on or near the surface of the ocean floor are called epifauna, whereas those that live burrowed under it are called infauna. Certain extremophiles (organisms thriving in extreme environments) that can handle high-pressure ambience also live on the benthic floor. Benthos play an important role in regulating the nutrient flow between the water column and sediment layers. Benthos, which mostly consist of detritivores subsisting on dead and decaying matter, help in decelerating the flow of nutrients by storing the nutrients in their body for long periods of time. This acts as a buffer that is useful in preventing an excessive influx of elements. 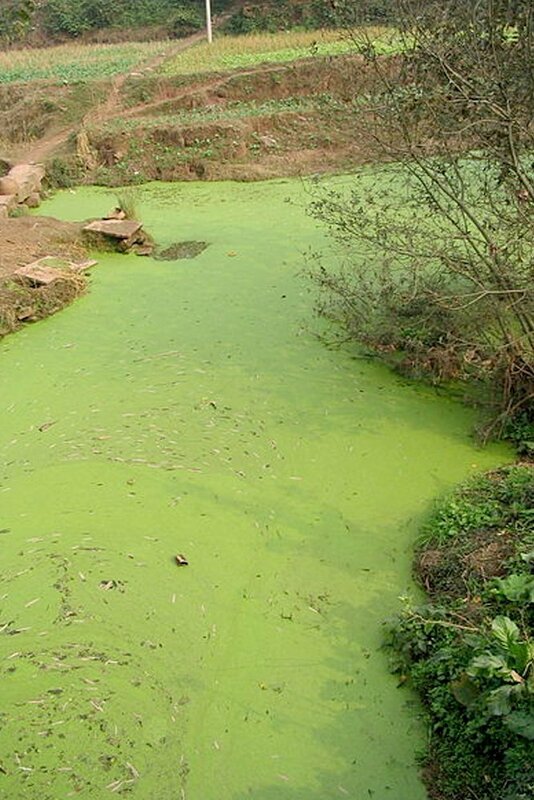 For instance, micro algae buffer nutrients that prevent phytoplankton overexploitation, which would otherwise lead to eutrophication. In shallow benthic zones that receive manageable amounts of sunlight, micro algae are ubiquitous. They can photosynthesize by taking up CO2 and a handful of micronutrients. Most of the carbon consumed by them is later released as extracellular polymeric substances, commonly called slime. EPS is sticky organic matter comprised of biofilms and facilitates the attachment of cellular substances to the sediment surface. The stickiness of EPS holds sediment particles together so they can avoid resuspension, which helps in stabilizing the dissolved oxygen levels. Moreover, the bacteria on the ocean bed can rapidly metabolize this EPS, as it serves as a source of nutrients for them. In this way, EPS plays a useful role in the marine ecosystem by contributing to both the sediment structure and the local food web!